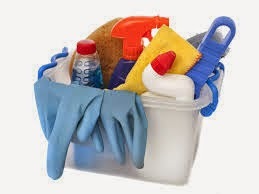 Mormon Moms: What are your Best SPRING Cleaning IDEAS? What are your Best SPRING Cleaning IDEAS? Yay, Spring is here! And, with it often comes fresh air and sunshine. I'm one who loves a clean home and open windows. I've also blogged about organizing and cleaning ideas. But, today, I ask all of you: 'What are Your favorite Spring Cleaning ideas?" - Kitchen: Drawers (how many measuring cups do you really need?). Put things you rarely use on top shelves or in storage area. Keep things you use often closer to you. Sort out drawers and toss garbage, and give things away that you don't use. (often a simple paring knife will do most cutting, chopping jobs.) Nifty gadget may be 'cool' but...actually unnecessary and take up precious space. 1. We don't really need as much as we often have. 2. Clutter makes everything take longer. - A place for everything and everything in it's place. 4. Share. When our season is done with something we ought to provide it for someone in need. 5. Don't buy things you don't really need. "Bridle' yourself. 7. Be grateful for everything the Lord has blessed us with; His teachings and gospel. 8. KNOW that EVERYTHING is HIS. We are stewards. How are we doing with that? What are Your BEST ideas?